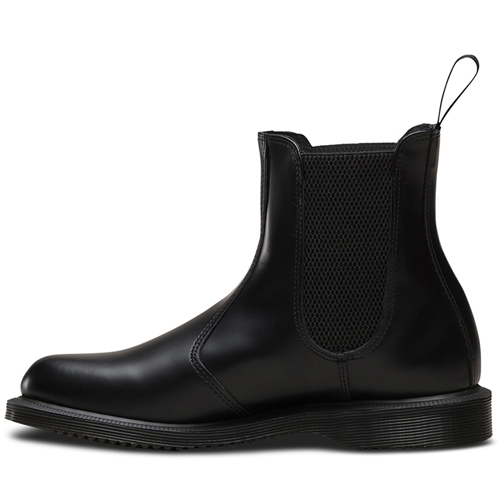 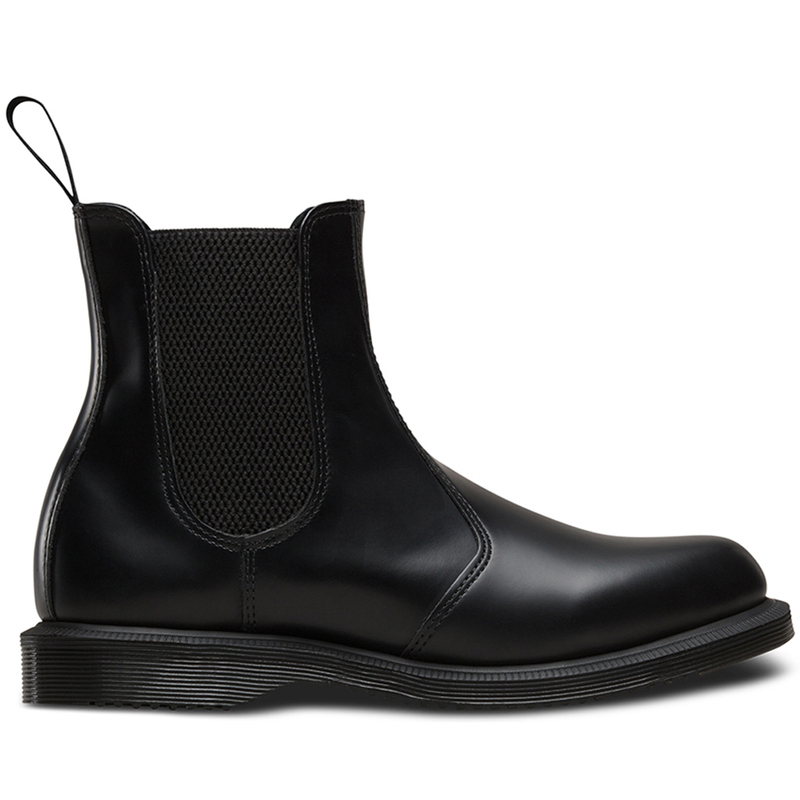 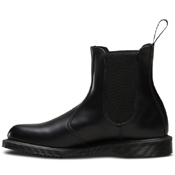 The Flora chelsea boot in polished black smooth leather. 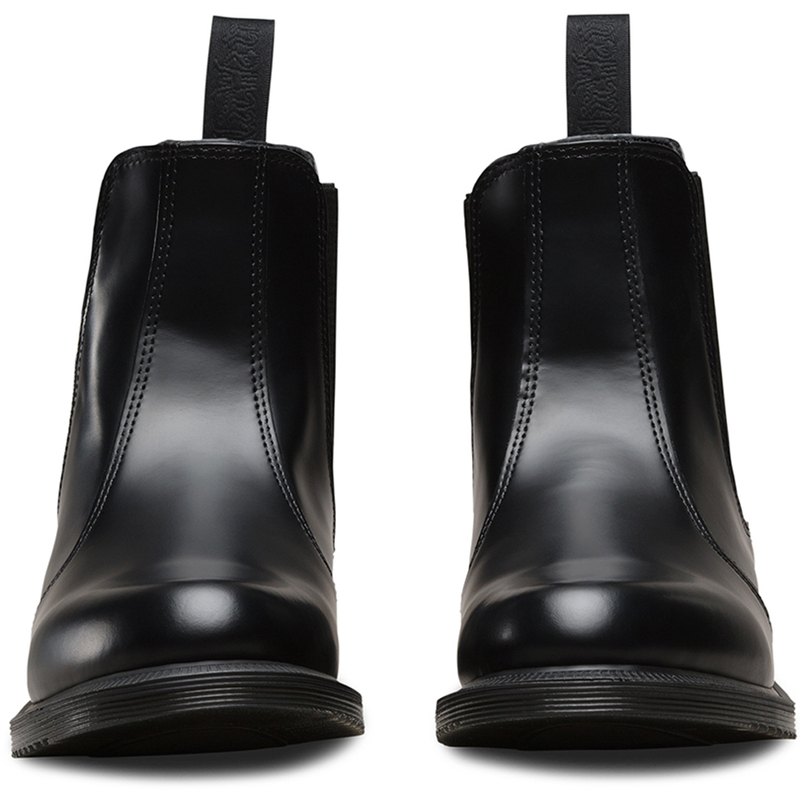 The elastic gusset allows slip on ease and pin dot lining adds an interesting final touch to these durable boots. 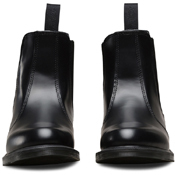 Flora boots are heat-sealed then stitched and the plain welted sole has no visible construction thread.